As a parent when your child doesn't something for the first time it's really exciting. When I had Jack, I struggled with the return to work, I really didn't want to miss any of his first's like my mum did with me. I wanted to ensure I saw those first steps, heard his first proper word. So making the decision to go part time was best. I got to have new 'firsts' to experience, his first colouring he brought home, his first piece of crafting. I still remember how happy I felt when he gave his first smile or wind as a baby, the overflowing love that rushed past. His first steps, his first word. Even now as he's older I still get teary for any new big milestones and firsts, such as his first christmas nativity at nursery last Christmas - yep I cried. Having an additional child is no different, you still treasure all those first moments. Isla's first breastfeed is one I will truly treasure. We have a lot of firsts still to experience with Isla and again I didn't want to miss out so again I'm back to working part-time. This month will see Isla turn one, her first birthday a milestone which will be treasured among the others. A milestone in which I've enjoyed with them both is there first foods, and each time they have tried a new food. Both of my children love there food and eat well. Introducing more foods is an exciting challenge. 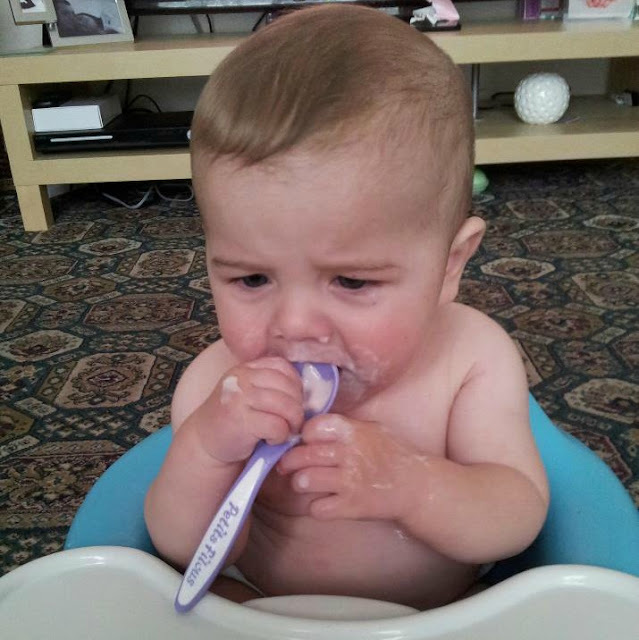 I remember Jack having his first taste of yoghurt, he was sat in his bumbo in the middle of the lounge trying a Petits Filous. However, the milestones relating to your child are not the only firsts to celebrate. There are the first journeys, the first trip to the park and your first holiday. 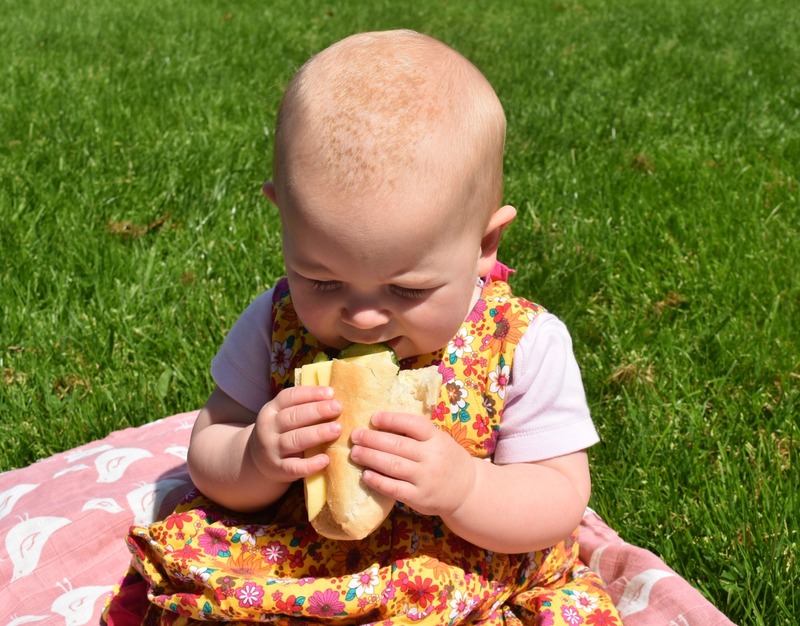 During half term this week we took Isla for her first picnic, a small achievement but one of those big firsts. Initially we worked up an appetite playing on the park, then went to a big open field to have a picnic. It was a lovely simple first but an enjoyable and memorable one all the same. 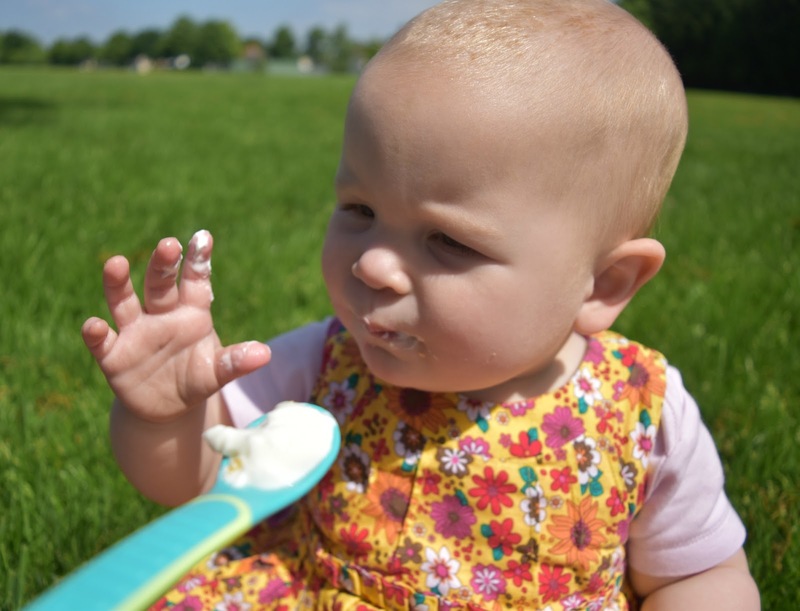 Whilst enjoying our picnic Isla also had her first taste of yoghurt, and fitting in with Jack her's was a Petits Filous too, only Isla tried one of their 'My First Petits Filous'. Isla seemed to really enjoy eating outside, and the mess didn't seem a problem as the wildlife could eat the crumbs. 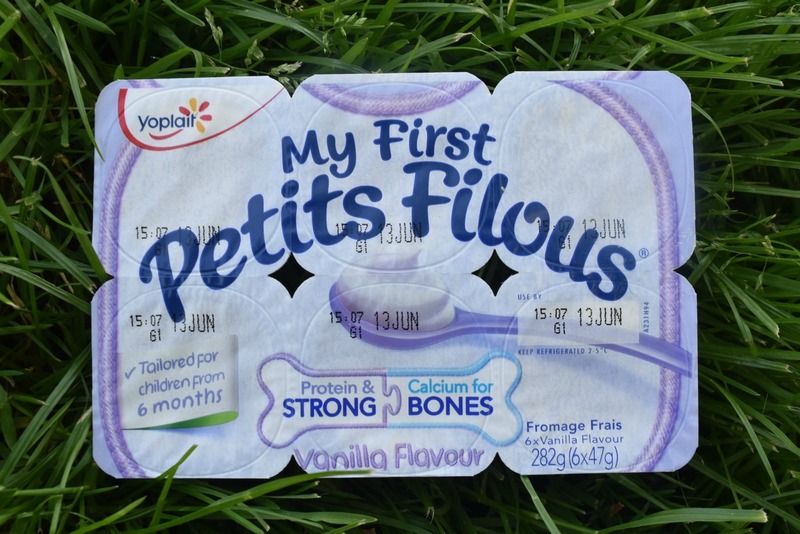 The 'My First Petits Filous' are a new product to the range and are low in sugar, vanilla flavoured weaning fromage frais. They are designed to introduce children to fromage frais from 6 months and are a little thicker than the usual type. The main ingredient is milk, and all other ingredients are 100% naturally sourced so you can rest assured no artificial colours, flavours, sweeteners or preservatives are added. Isla really enjoyed her first taste of fromage frais, definitely a firm favourite on her journey of firsts. She's not the only one to enjoy them as Jack also got in on the action saying they are very tasty. I'm excited to witness all the other first's in which my children will experience. Parenting is an exciting journey to be on and very rewarding. What firsts have you recently experienced? This post is an entry for Britmums #PetitsFilousFirsts Linky Challenge, sponsored by Petits Filous.